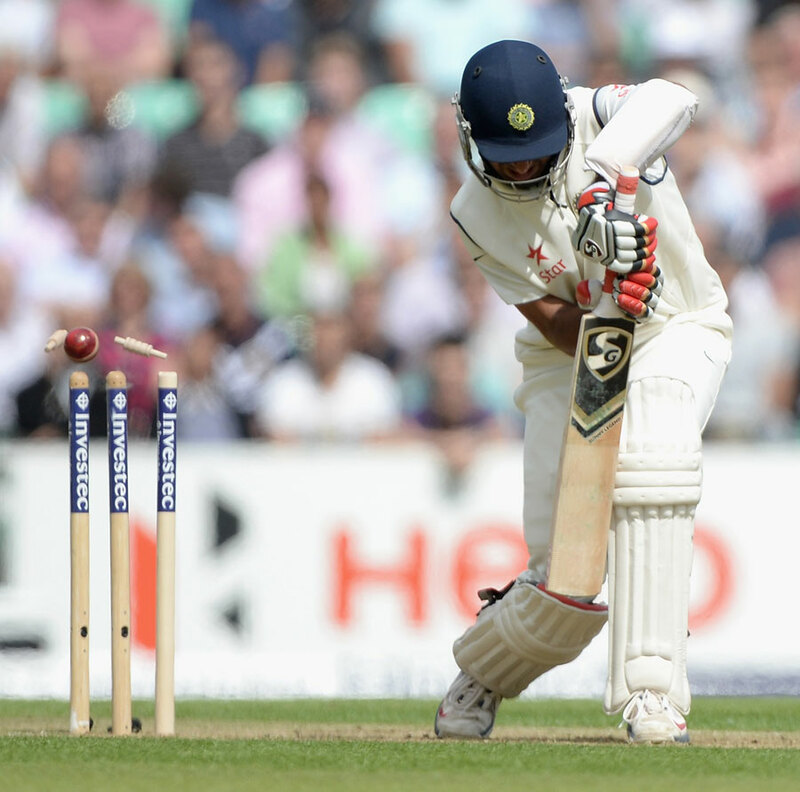 At the time of writing, India are getting quite a beating from Cook’s men at the Oval. The rapid disintegration of the players in the last three tests has been painful to watch; actually, scratch that…I have stayed off from watching most of the days’ play since the Ageas Bowl test. As Devanshu pointed out in a brilliant article recently, the emotional toll that my team’s performance exacts on me can be draining in defeat as exhilarating as it is in victory. After all, I still have not fully recovered from the 0-8 memories of 2011. Talking about 2011, going from the highs of a home World Cup win to the nadir of whitewashes in England and Australia really tested my loyalty and support for the team. The only other performance that brought me similar grief was the 1999 whitewash down under. At least, then it was expected by all and sundry, as a weak team (barring SRT) wilted under the dominance of the mighty Aussies. The 2011 England tour, on the other hand, consisted of a phalanx of experienced veterans who were supposed to defend the number 1 ranking in style. Instead, the team went down with a flurry of injuries and contagious loss of form, as England steamrolled the tourists. As crushing as it was, I consoled myself saying that it was all bad luck. Then came the tour down under. The Aussies seemed ripe for the taking; yet a fully fit Indian team continued it’s disastrous run overseas. That tour signaled the end of Rahul Dravid and further down the road, VVS Laxman. India were forced into the transitional period, kicking and screaming. Fast forward to now. The Indian team picked for the England series did not boast of many high profile names like the previous tour; but given the travails of the English team and the promising performances in the previous two overseas tours, there was reason for cautious optimism. 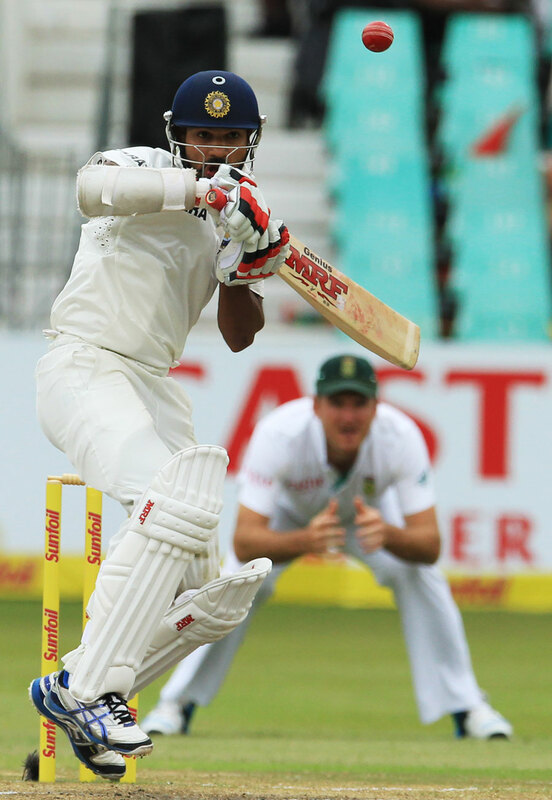 Indeed, the Lord’s test raised hopes that a corner had been turned with regards to tactics, skill and guts. Instead, the following three tests has been a sobering reminder, that there is a long way to go for this team to mature into a strong test side capable of challenging the best sides on a consistent basis. That brings me to the point of the article; there is hope. Yes, the manner of the defeats in the last few games has been very dispiriting, to put it mildly; but as @srinivyasan pointed out, this team is on the upward curve of their careers. Players like Pujara, Kohli and Rahane will only get better. The likes of Bhuvneshwar, Ishant (yes!) and Aaron promise good signs for the future. Vijay has shown that he has the discipline to succeed overseas. While there is a question mark on the likes of Dhawan, Jadeja and Ashwin, they have age on their side. Short-term pain might have to be tolerated before the long-term gain comes to fruit. The captain likes to talk about the importance of process over results. So far, neither the process nor the results has gone India’s way; but Dhoni himself has offered a template (courtesy, his bat) on how to keep fighting and trusting on one’s own strengths. If his players can imbibe those qualities, these present-day shambles might just kickstart a revival for this team. India came into the World T20, after a dispiriting few months where they just about lost every series, regardless of the format, since November last year. So, when it was time for the World T20 to begin and we realized that we were grouped with Pakistan, West Indies and Australia….. The campaign started on a perfect note though, with a clinical win over Pakistan, but the heart refused to accept that the team would fare better in the remaining games…..
Then India beat defending champions West Indies in similarly convincing style. Suddenly, the expectations were kindled…. India entered the WT20 final for the second time since 2007 and anticipation was building, when it was realized that they were going to play Sri Lanka in the final. India batted first. Kohli stuck some lusty blows and at the half way point, it looked like a good platform was set for the finish. Then Yuvraj happened. Then we remembered that the IPL is round the corner…. Did we crown him the new Sehwag, too soon? Shikhar Dhawan has all the flair and strokes that the Nawab of Najafgarh has; and after a dazzling debut innings much like Viru’s, hopes were high. A Man of the Series performance at the Champions trophy later, it was settled. Shikhar Dhawan was the new batting star. Alas, reality has come crashing down. Dhawan looks terribly out of sorts. If he fails in the remainder of this series, should Dhawan be persisted with? Would it mean the return of Gambhir? Or does India need to look to blood newbies? Jiwanjot Singh? Vijay Zol? Personal opinion: Dhawan needs to be persisted with. At least for another series. He has the class and the ability. Take the case of Murali Vijay. Who would have thought at the onset of the South African tour that he would be the most reliable opener of the two? Give Dhawan the opportunity to redeem himself. If he still fails after enough chances, it might be time to look elsewhere. 1. What kind of name is ‘Position Paper’ for a draft? 2. How did the Big Three think they could even get away with this? Ultimately, we should have seen this coming. 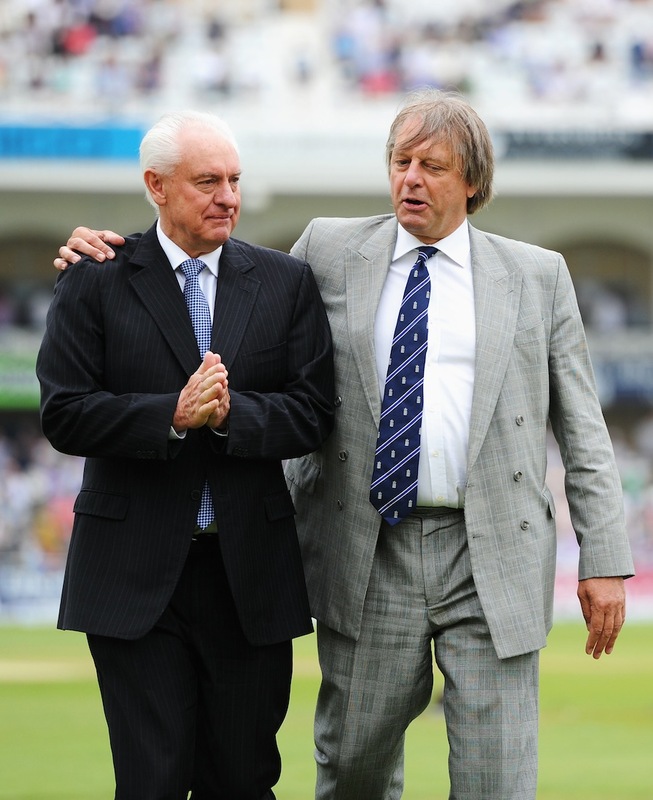 Most administrators, if not all, look after their own interests; and that is precisely what these three cricket boards are doing. Now, I am not particularly nuanced with details of finances and administration matters pertaining to the ICC and thus I am not going to attempt to explain this latest outrage; what I do care about is how this will affect me as a cricket fan. 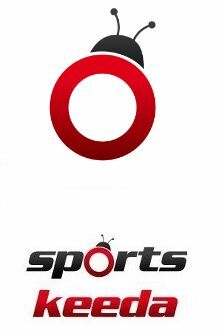 Will I still be able to follow high quality cricket between different teams? Will I still be able to follow my favorite cricketer in action in Tests? Will this finally put an end to the overkill of India vs Sri Lanka ODIs? The following is a selection of my favorite articles on the ‘Position Paper’. These helped me to get a clearer picture of what international cricket is going to face in the coming months; and these are all that you need to read on the whole matter. I am trying to gather my thoughts, but I’m failing miserably. This could well be a rambling post. I can’t eulogize my all time favorite player like much better talented writers have recently; but I have to write something about the man who is responsible for my cricket addiction. I have to express my thoughts about a player who made me fall in love with the game at a very young age. Eden Gardens in 1996 may have been in flames, but Sachin Tendulkar walked out of the stadium and the semifinal a superhero in my eyes; and became a personal obsession I just couldn’t shake off over the next two decades. I have to write something; but I can’t. Words fail me. Even if I do manage to string a few sentences together, it’s not gonna do Sachin any justice. So, I’m just going to say a non-cynical ‘Thank You Sachin’. Thank you for the autograph you gave me as a kid, when I had no idea who you were. Thank you for the privilege of watching you grow into a legend. Thank you for being imperfect and reminding everyone that it is possible to excel even if one is not at their best. Thank you for your love of the game. 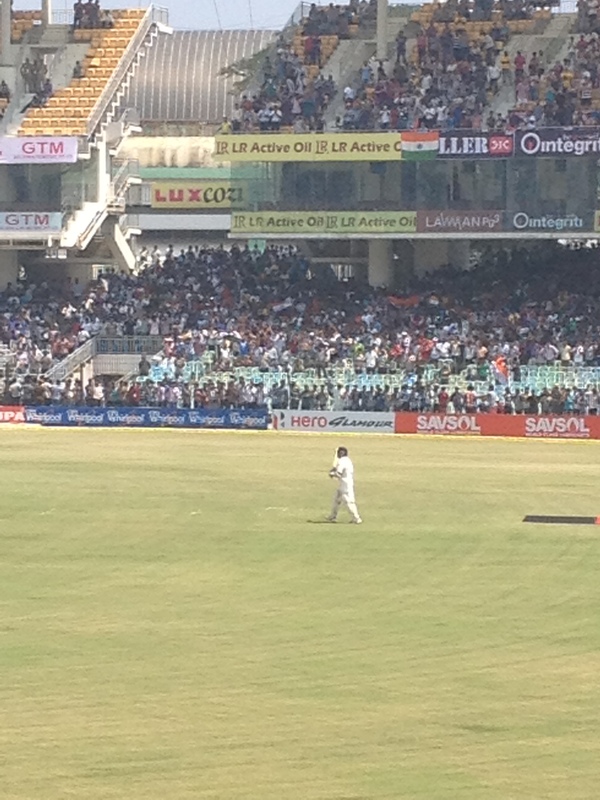 Lastly, thank you for your two consecutive sixes in the only Test I have watched live in a stadium! I cried because of cricket for the first time when Tendulkar got stumped in the 1996 World Cup semifinal in Calcutta. And I will cry for the last time when Tendulkar waves his final goodbye in Mumbai. 2. Isn’t that reason enough? I got the idea mainly after struggling to explain the game to my girlfriend; added to the several ‘How do you explain cricket to Americans’ questions which popped up in the aftermath of the rain-affected games in the recently concluded Champions Trophy. So, this was my attempt to explain the game to casual observers. Take a look! On a wet Sunday evening in Birmingham, the last (supposedly) Champions Trophy game ever came down to the final ball. James Tredwell had to only smite a six to bring glory on himself and the English team. On the other hand, Ravichandran Ashwin had to stop that from happening to complete a stunning come-back for the Indians. Ashwin bowled, Tredwell missed and Dhoni danced. England missed yet another opportunity to grab their first ICC trophy in ODIs while MS Dhoni collected the last trophy that had been missing in his collection. Funny that it had to take a Twenty over game to prove which team is the best in the fifty over format. To read the rest of this article, head on to The Cricket Magazine. When India won the Champions Trophy, Nasser Hussain (and a few others) marveled at how quickly India has filled the holes left behind by out-of-form/retiring legends (such as Yuvraj, Sehwag, Zaheer, Tendulkar). I’m not sure “quickly” is the right word — since at least the 2007 World Cup, India’s official policy (first formed by Greg Chappell) has been to find and support younger players. A number of players currently at the top of their games — Dhawan, Karthik, Jadeja, Rohit Sharma — are on second-run tours in the national team, and it took a fair while before India dropped non-performing seniors (both in the Test and ODI formats of the game). All the people who watched the IPL final are the reason why fixing will never go away. You’re all complicit. It is a shockingly aggressive accusation of everyone, including myself, that was watching the IPL final on Sunday. And it has taken me a couple of days to figure how exactly I feel about it. On the one hand, it was kind of a buzz kill. Not in a bad way, mind you, because when else should one make such a statement? Before the match when no one is paying attention? After the match when everyone has stopped caring? No: you make it during the final itself, when Twitter is crawling with IPL fans. To do it any other time would be cowardly. But it did make me feel like a bit of a chump. Some will still recall the famous episode in which he broke down a door after being dismissed at Delhi’s Feroz Shah Kotla during an India-West Indies Test in 1983.